Nikki Giovanni has 1 media appearance. Nikki Giovanni discusses The Collected Poetry of Nikki Giovanni: 1968-1998 (P.S.). The poetry of Nikki Giovanni has spurred movements and inspired songs, turned hearts and informed generations. She has been hailed as a healer and a national treasure. But if her reputation is writ large upon the national stage, her heart resides in the everyday where family and lovers gather, friends commune, and those no longer with us are remembered. Chasing Utopia affirms once again why Nikki Giovanni is as relevant as ever. - This event will be held in the Community Room at the South Pasadena Public Library, 1115 El Centro St., South Pasadena. - This is a ticketed event. Two tickets will be given with the purchase of of Chasing Utopia. - If you have any questions, please call (626)449-5320. World renowned African American teacher, poet, essayist, and scholar Nikki Giovanni graces Albuquerque for an event cosponored by the University of New Mexico English and Africana Studies departments. Ms. Giovanni will be presenting on her new book, Chasing Utopia: A Hybrid. Albuquerque Poet Laureate, Hakim Bellamy, will introduce Ms. Giovanni. With Chasing Utopia, Nikki Giovanni, one of America's most celebrated artists, demands that the prosaic--flowers, birdsong, winter--be seen as poetic. The poetry of Nikki Giovanni has spurred movements and inspired songs, turned hearts and informed generations. She's been hailed as a healer and a national treasure. But if her reputation is writ large upon the national stage, her heart resides in the everyday where family and lovers gather, friends commune,and those no longer with us are remembered. And at every gathering there is food, food as sustenance, food as aphrodisiac, food as memory. A pot of beans are flavored with her mother's sighs, this sigh part cardamom, that one the essence of clove; a lover requests a banquet as an affirmation of ongoing passion; an homage is paid to the most time-honored appetizer, soup. Nikki Giovanni was born in Knoxville, TN, and spent her childhood summers here with her grandparents. In 1994, she wrote an illustrated children’s book reminiscent of her memories entitled Knoxville, Tennessee. She has received the Governor’s Award for Tennessee and was named an Outstanding Woman of Tennessee. In 2008, Mayor Haslam unveiled a historic marker that honors Giovanni. It stands on Hall of Fame Drive near where her grandparents’ house once stood. Giovanni’s prominent voice has been heard as a poet, writer, commentator, activist, and educator. She is currently a Distinguished Professor of English at Virginia Tech. She published her first book of poetry, Black Feeling, Black Talk, in 1968. Since then, her career as a poet and novelist has positioned her as an icon of American letters. She has received many prestigious awards, and her nicknames suggest the extent of her success. She has been named the “Princess of Black Poetry,” a “National Treasure,” and one of Oprah Winfrey’s twenty-five “Living Legends.” Giovanni’s autobiography Gemini was a finalist for the National Book Award. The NAACP honored her works Love Poems, Blues: For All the Changes, Quilting the Black-Eyed Pea, Acolytes, and Hip Hop Speaks to Children: A Celebration of Poetry with a Beat with Image Awards. Her book of poems, Blues: For All the Changes, reached #4 on the Los Angeles Times Bestseller List, and her children’s book Rosa became a Caldecott Honors Book and reached #3 on the New York Times Bestseller List. Her book Bicycles: Love Poems quickly occupied the #1 spot on Amazon.com for poetry. Giovanni has received the Rosa Parks Women of Courage Award and Langston Hughes Award for Distinguished Contributions to Arts and Letters. Nikki Giovanni on tour for Bicycle: Love Poems. Nikki Giovanni , Bicycles: Love Poems. 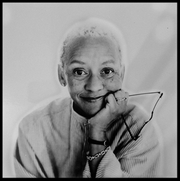 Nikki Giovanni is currently considered a "single author." If one or more works are by a distinct, homonymous authors, go ahead and split the author. Nikki Giovanni is composed of 5 names. You can examine and separate out names.